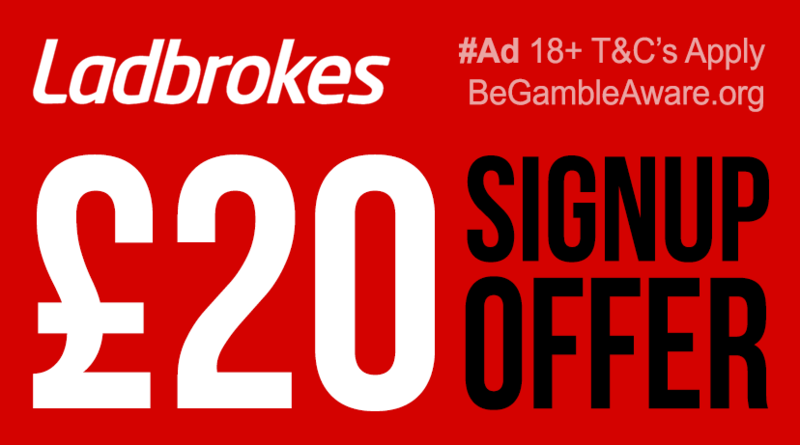 Ladbrokes are up there with some of the best bookmakers for UK punters and are currently offering new customers the chance to claim £20 in bonus bets! To claim the latest Ladbrokes signup offer, simply open a new account using promo code '20FREE' at registration and place a £5 bet on any sport they offer. Once your bet's settled, Ladbrokes.com will then credit your new account with £20 in free bets. Ladbrokes actually split the £20 into four separate £5 free bet vouchers which is great as it means you've got four opportunities to make money using Ladbrokes' money! 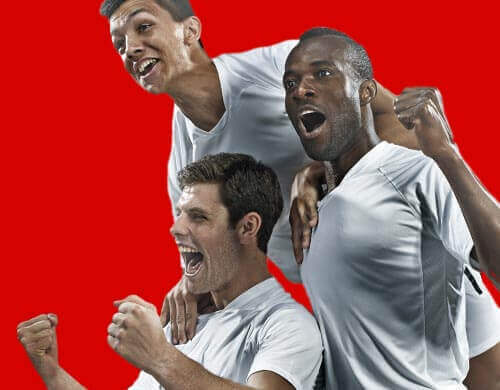 The free bets that are included in this latest Ladbrokes signup offer can be placed on any of the sports betting markets that Ladbrokes offer their customers and are valid for four days. So, if you're considering signing up for a new sports betting account with Ladbrokes then make sure you claim the bonus bets that Ladbrokes offer new signups!